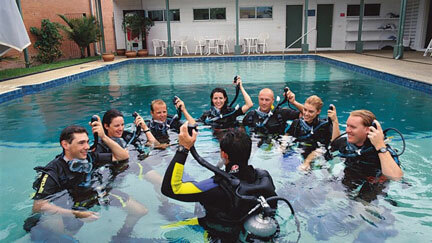 Cairns is a large city and PADI courses are much better attended and offer more options than in Airlie Beach. For example you can do a 3 day dive liveaboard to complete your Open Water training in Cairns which will also add several dives as a certified diver to your logbook. This option is not available in Airlie Beach. A minimum of 2 students is required to be able to run any Whitsundays PADI courses - Airlie Beach diving courses include all PADI courses up to Rescue diver and are conducted at the Whitsundays dive centre PADI diver training facility at Cannonvale near Airlie Beach with classrooms and extra deep, purpose built diver training pools. 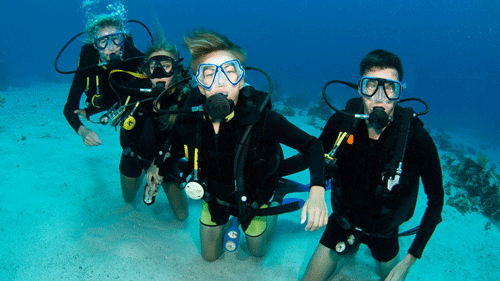 Courses are 4 days comprised of two days of pool and classroom instruction at the dive centre followed by 2 day dives at suitable dive sites in the Whitsunday Islands.